Siberian synagogue built by former child soldiers is returned to Jewish community. A Siberian wooden synagogue that was built in 1906 by Jews who were abducted as children and conscripted into the Czar’s army was returned to the local Jewish community. 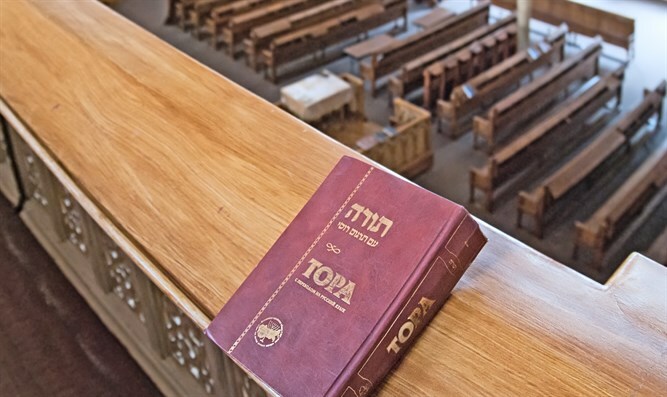 The Jewish community of Tomsk last year received control over the Soldiers’ Synagogue, which is one of just a handful of wooden synagogues worldwide. But the handover is to be officially completed on Thursday, at a ceremony attended by Berel Lazar, a chief rabbi of Russia. The building was built by army veterans, including ones who were conscripted by force as children, some of them as young as 8. Known as Jewish Cantonists, they were victims of a policy enforced from 1827 to 1856 which forced Jewish communities to give up 10 children older than 12 for every 1,000 Jews. The children were placed in military boarding houses and drafted for 20 years when they reached 18. In addition to some 75,000 Jewish Cantonists, Czarist Russia also had at least 300,000 non-Jewish ones. But non-Jews were placed in boarding house conditions at the age of 17-18, whereas for Jews that age was set to 12 in what Josef Mendelevitch, a rabbi who in 2010 published a book about the Cantonists, said was part of a policy aimed at converting the Jewish conscripts into Christianity. Many non-Jews wanted to become Cantonists because it meant housing and food but for Jews “this meant their world collapsed because it was impossible to practice Judaism and observe its prohibitions” in the army, he said. Jews had been exempted from giving up their sons to become Cantonists from 1721, when the first Cantonists were drafted, until 1827. They were again exempted in 1856. Many Jewish Cantonists were converted to Christianity but some, including the founders of the Tomsk synagogue, resisted considerable pressure by their commanders to convert, Mendelevitch said. Communist authorities confiscated the two-story building in 1930, turning it into a municipal facility and later into an apartment complex. The city in 2013 agreed to return the synagogue to the local Jewish community, which has approximately 1,000 members, Levi Kaminetsky, the chief rabbi of Tomsk and an emissary of Chabad to the area, told JTA. The municipality then found alternative housing for the tenants of the apartments and sealed the building, which is currently not safe to enter and whose infrastructure and foundations are in a serious disrepair. The community is currently completing the construction of a Jewish community center adjacent to its only functioning synagogue. “To be honest, it’s going to be a struggle to renovate and re-open the Soldiers’ Synagogue but we are bound by duty to take over it as soon as we can, to preserve the legacy,” Kaminetsky said.